Welcome to week 10 of this alphabet inspired newsletter. Well its the first week of a new Month, March is certainly the start of our season over here in France, and so juggling our many activities becomes necessary. It's also a time when I have to be really careful not to judge myself or others. It is all too easy in times of more stress and tension to let those judgements take a hold. Ultimately no matter how much we have to do it is so important to remember that lovely 3 letter word 'JOY'. Make sure that you find time to feel joyful every day, it's not just for weekends. So here are my J based tips for this the 1st week of March. Juggling - Spring is finally here. This often signifies a lot of activity, in all sorts of areas. Many of us will be spring cleaning and organising as well as the day job. March is definitely the month where is all starts to happen for me here in France. I love to carry on with all my coaching work, and then add in getting the gites ready for the season as well as all the spring cleaning and gardening work for our property management clients too. Juggling tasks becomes necessary and a daily way of life. My top tip for making this an enjoyable process is that whenever it all feels a little too much, just stop and breathe through the moment of overwhelm. A short 5 minute meditation can work wonders to help you keep things in perspective. If you have a smart phone, carry some headphones around with you and log onto YouTube to find a short guided meditation on overwhelm. Taking the small timeout creates the space for everything to start to fall into place much more easily. Even in the busiest of times its really important to make time to have some fun every day. I believe this is when you need it the most. What is fun or joy for you and how can you incorporate it into your busy day? Judgement - What is judgement, and how does it affect your life? For me judgement has been ingrained in us since birth. Just the language we use in terms of right or wrong, good or bad, pretty or ugly are all judgemental words. This is a massive topic, too big for this newsletter, so today I just want to look at judgement in terms of self. We are our own worst critics. I know I get particularly self critical at busy times, when tensions are running a little high. Often when we are at our busiest the temptation is to raise our expectations to an impossible high level. Unrealistically long to do lists, can lead to overwhelm and a feeling of being an underachiever. Setting ourselves up to fail is never motivational. When I coach someone who is being unduly self critical I ask them this question: If you were to focus on what you have achieved today, rather than what you ran out of time to do, what would that reveal to you? I use this on myself too. Whenever I catch myself judging me in a harsh and critical way, I look for the evidence to support the opposite of that perception. For example, when I hear myself saying: "I got nothing done today". Then I stop, breathe and list what I actually achieved. I hope this helps you too. * Long hot bath, with a great book and a cup of hot chocolate. So what would be on your list? Go get some paper and a pen and write your list now. Then ask yourself: How many of these things are you doing at the moment? How can you find/make more time to do more of these things. Make sure you do at least one of the things on your list every day if not 3 or more. Let more joy in and love your life. Welcome to week 9 of this alphabet inspired newsletter. How was your week last week? Mine was a little full on with challenges particular to my circumstances here in France, which have a habit of hijacking the intentions I had originally set myself for the week. To overcome this I am getting back into a routine of meditating and journaling each morning. Yes this means getting up a little earlier to make the time, but for me this is what inspires me and allows my creativity a little bit of wriggle room. I often do my best work, or get clear and focussed on my intentions for that day just by following this simple process. I prefer a guided meditation and usually find a quick search on You Tube leads me to something important for me at that moment. So here are my thoughts on indecision and intentions to share a little inspiration with you. Indecision - Last week I talked about decisions being heart based or head based. Whatever kind of decision is before you it is so important to actually decide on something. Even a ‘wrong’ decision is still better than indecision. A ‘wrong’ decision helps you clarify why it wasn't right for you and you can learn from it. Staying at the point of indecision gives the power to decide away to others. When uncertainty or self doubt strikes it can often be about giving ourselves permission to do something, even if that is to take more time to decide. How many times have you dilly dallied about a purchase you know you really love. Only to find when you do finally decide and return to make the purchase it’s sold out! When indecision strikes, ask these questions to get clear? By when do I need to decide? How much more time will I allocate to this? What is stopping me from making a decision? What am I afraid of and is this real? How will I feel if this option is no longer available to me? If you are still undecided, grant yourself just one wish as if you had a magic wand that you could use in respect of this decision. What would this enable you to do? Inspiration -I love to be inspired by books, films, long walks by the river, staring at the ocean and often other people and their successes. But most of all I want to inspire others. There is nothing quite so uplifting and rewarding as hearing someone say; Because of you I didn’t give up; Because of you I found the strength to carry on; Because of you I knew it really would be possible. You might be thinking this ability to inspire is for other people and not you. I would like to remind each of you that you will be an inspiration to someone. Never underestimate who you are and the things you do in your life that perhaps you take for granted. You will be inspiring someone. I would also like to ask that when you feel inspired by someone share that with the person, as they may well need reminding just how extraordinary they are. If you read or watch something inspirational share it with others. If it inspired you, it will help someone else too. By simply being who you are and doing what you love, you too have that ability to inspire others. Simply share what you love, learn and discover. Inspire someone today it really is what we are here to do. Intentions - On a retreat in 2011 I learnt the power of meditating, journaling and setting intentions for the day. This simple process puts me in charge of my thoughts and feelings for the rest of the day. It is in periods of indecision or overwhelm that I am reminded to make time for this daily practice again. On waking I start by asking myself how do I feel today? Really taking the time to tap into what my first thought was on waking. I then ask myself how I want to feel. I take a minute or two to acknowledge any differences and let it go. I then set an intention for that day, something I really want to excel at or achieve. After this I spend 5 to 10 minutes in an appropriate guided meditation. YouTube always has something that seems just perfect. Click here for an example of a 10 minute guided morning meditation to kick start your day. . After meditating I journal my thoughts and shape my intention into action points. As a result of this process I get really clear on something that I have been indecisive over. All of a sudden the steps I need to take unfold on the paper before me when previously I had just been stuck. I always benefit from taking the time to fit this process into my day. Welcome to week 8 of this alphabet inspired newsletter.Well this weekend was Valentines Day making me think of all things heart based rather than head based! I received beautiful red roses and the most amazing heart shaped dessert. They certainly excel at patisserie over here in France. February is also the time of year I like to plan my holidays too as this fuels my hopes and dreams which will keep me grounded and on purpose through what is going to be a busy summer. So here are my thoughts for the week to hopefully inspire you to keep your hopes and dreams alive. Always look for more opportunities to go with your heart rather than just your head. Especially when it comes to the potentially life changing decision that often we are not brave enough to embark on if we let our head rule our hearts! Hearts - Have you ever heard people say – that decision was from the heart, or that decision was from the head? Which are you more inclined to use? Is there a right way and a wrong way? When people ask why we bought our place in France, the thing that comes to mind is that this was a heart based decision. How do I know that? The moment we saw the place, we were in love with everything about it, the buildings themselves, the spiral stone staircase, the beautiful gardens and swimming pool, the walk by the river, just the sound of the birds and the wind in the poplar trees. It really was love at first sight, and I don’t think anything could have made us change our minds, unless of course we had just bought with our heads! What do I mean by this? My head would have said, buy something smaller, easier to manage and maintain remotely, quicker to clean in between guest changeovers, more economic to heat in the winter etc etc. BUT would I have loved and been so passionate about the kind of place that met just my head criteria? Definitely not. There is no right and wrong, but I believe that doing more of what you love and really lights you up is where we should all try and spend most of our time to help contribute to a life full of happiness. Holidays - Why a picture of the Maldives when we live in a fabulous holiday home in France? Good question. We bought our French holiday homes in 2005 on generous corporate salaries with no other financial commitments. Our hope was to holiday here often, retiring mortgage free by 2010. We then hoped to manage our gites each summer and holiday in the Maldives every winter – simple! Exchange rates and redundancy in 2009 meant the dream was put up for sale in 2010. Whilst retraining as a Life Coach and a few dream boards later, we found a way, sold up in the UK, and came to France on 12/12/12. Interestingly, we have not had a holiday since we moved here! When you do work you love there is much less need for a holiday. We love our life here looking after other people on their holidays at French Escapes. Seasonal work frees up my time in the winter to focus on my other passion - Life Coaching. I am so excited to be hosting my very first coaching retreat here in June. The first booking was confirmed yesterday. The dream continues and we hope to be in the Maldives in October for our 12th wedding anniversary right back where we had our honeymoon. A case in point, we bought our place in France in 2005, with a clear hope that we would be here full time and debt free by 2010. When we put this place on the market in 2010 rather than moving here I was tempted to give up all hope. At the time it seemed like the only solution. With the help of my great coach Ali, the passion for my dreams was reignited, my hopes were once again alive and well. The two years the house didn't sell allowed the time to train as a coach, and to prepare a new way forward. We moved out here permanently on a very auspicious date 12/12/12. I am living proof that no matter what, it is important to always live in hope and keep those dreams alive even through the darkest of times. G for Goals, Guidance and Guilt Free Zones. Welcome to week 7 of this alphabet inspired newsletter.I was asked to speak on a webinar on Sunday night on the topic of Goals and Dreams so I thought I would share some of my top tips with you too. One thing that can really help us define our goals and open up our dreams is to seek some kind of guidance, I share below how I use the Goddess Guidance cards gifted to me by my coach many years ago now. I also want to touch on why its important to release guilt so we can do more of what we love. This is a topic close to my heart and one I work on daily. We are all a work in progress, and need guidance and support along the way. I hope something in this newsletter helps you the way I have been helped over the years on my own personal development journey. 1. How do you want to be? 3. What do you want to have? Ask yourself, the all important - why? What will this give you? What is it that's important about these things to you? 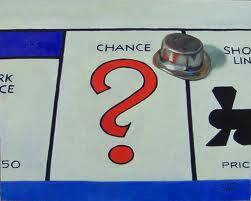 Cross off anything where you can't answer "I want this because.....". If you have many roles in your life try this goals tool to help you get starte. (Click here for the link). Enjoy the process make it fun. Guidance - Never be stuck, there is always someone or something out there in this amazing universe to help you. I was given a set of these beautiful Doreen Virtue Goddess Guidance Oracle Cards back in 2011 by my own Life Coach Ali. They are the gift that keeps on giving for me. I often ask the cards if they have a message for me at the beginning of my day. I find them motivating and inspirational and they often put into words the very issue I have been trying to address. Todays card was FREYA and her message for us all is so relevant to todays topics "Unleash your adventurous side! Take Risks and be daring - Don't play it safe right now. Instead, take bold action in the direction of your heart's desire. Success comes not from timidity but from committing yourself fully to realizing your dream. Hold the clear intention of success and it shall come about. Enjoy the excitement of taking risks, of being bold, and of being daring, And be sure to celebrate your success with a party or by splurging on a wonderful indulgence." What great advice especially when it comes to thinking about your dreams, turning them into goals. Then creating the plan and taking consistent action! Guilt - This is a cruel judgement based emotion we all seem to live with. We impose it upon ourselves, or let others impose it upon us. What would your life be like if you made it a Guilt Free Zone? What do you need to do to let go of it? It can be helpful to define it in the first instance. What are your guilty pleasures? One of my many is that down time at the end of a day watching soap opera's! When I try and rationalise it I can't, however I manage it by using this time to do the ironing creating guilt free watching and making a dull task more pleasurable! Creating a win:win guilt free zone! Another one of my guilty pleasures is taking a long hot bubble bath in the middle of the day. My old corporate trained brain shouts at me 'you should be working'! To counteract this nagging voice in my head I combine my guilty pleasure with another one I often don't get (make!) enough time to do and that's reading. Bingo this works for me its a way of 'killing two birds with one stone' making efficient use of my time. So what are your guilty pleasures and how can you make them a guilt free zone for you to just really enjoy. Do send me your thoughts on this one, lets inspire one another on this Let Go and Love Life Facebook page . Janine Wood is a woman who thrives on her sense of adventure and her capabilities at giving anything a go. She left her 6 figure corporate income to live her rural dream life in France with the love of her life Tony and their two rescue dogs Junior and Benjy. Janine is inspired by interior design, creation, music, art, dance, fun and personal growth and she lives each day with love, laughter and inspiration. Her role now is to inspire other people who know that they can take more out of life and supporting them as they too discover how to live every day like it was their best. Subscribe to this Let Go and Love Life Newsletter here. F for the first week of February - wow its finally here. Not long until spring now. I have already seen a couple of early daffodils, and the lighter evenings are starting to make an appearance again. This week I thought we might explore a little around three things that have played a significant part in my own transformation, and how valuable it can be to do some personal development in these areas in order to set yourself free to grow and develop a little more. Freedom - What does this mean to you? Is it conditional? When I started looking at my core values, I realised this was a significant one for me. However identifying the word was not enough. I needed to define what it actually meant for me. Often I hear people say more money would give them more financial freedom, or a new job with less hours would give them more time freedom etc. However for me freedom is something we can actively choose and simply involves a guilt free state of mind. Yes more money might help but in reality at what cost? When I worked a 70 hour week in the corporate world on a six figure income I had money, but absolutely no freedom in terms of time. To me time to do all the things I want to do is the key ingredient of freedom. Doing the things I chose without the guilt associated with the old conditioning is still something I work on every day! I will be talking more about guilt next week. What are your core values, can you name them? If you would like an exercise to help you work them out check out this link Core Values Workbook. Fear - What is it for you? Fear of....Public speaking, asserting yourself, making decisions, intimacy, changing jobs, being alone, aging, driving, losing a loved one, ending a relationship? 1. The fear will never go away as long as you continue to grow. 2. The only way to get rid of the fear of doing something is to go out....... and do it. 3. The only way to feel better about yourself is to go out ..... and do it. 4. Not only are you going to experience fear whenever you are on unfamiliar territory, so is everyone else. 5. Pushing through fear is less frightening than living with the underlying fear that comes from a feeling of helplessness. In conclusion its not FEAR that is the problem just how we deal with it. What do you tell yourself? Can you handle it or not? Next time fear crops up try telling yourself - I can handle it and see how you feel. journey. It may be that you are in a job right now where the feedback is non-existent, badly delivered and a negative experience. I have been subject to this in the past and so know how awful it feels. Feedback is not a once a year thing, it should be there all the time. When delivered well it will motivate you and help you grow. Getting myself a coach was a real eye opener to the benefits of feedback done well. It was also a lesson in how to receive positive feedback as this was quite new to me. How often do you find yourself dismissing or brushing aside feedback? How do you response to a simple complement about how fabulous you look in a particular outfit? Often our default reaction is something dismissive like 'what this old thing'! rather than a simple thank you. Raise your awareness today and learn to accept feedback with good grace. If you would like some one to one time to discuss the benefits of a coach just get in touch. Welcome to week 5 of this alphabet inspired newsletter.January can seem like a very long month when its cold and dull, with less sunshine to brighten us all up. All the activity and excitement of Christmas and New Year starts to fade. So today in what will be the last newsletter of January I want to examine some of the things that contribute to our overall mood and state of mind (ego) and how we can begin to recognise that and examine the evidence in order to protect our energy levels. Too much time coming from ego based thoughts can drain our energy and exhaust us. Looking at alternatives and changing limiting beliefs into positive ones can really boost our energy levels and change our outlook. Evidence - To challenge any ego driven or potentially negative belief once you have recognised it, you need to assess the evidence. You can do this by answering a series of questions. 1. What evidence do you have to support it? 2. How old is that evidence? 3. What does having this belief cost you on a daily basis? 4. If you no longer had this belief, what could you achieve? 5. What if the opposite were true? 6. What would need to happen for you to change this belief? 7. What could you do to begin the journey of changing this belief? 8. What would tomorrow be like if you were to let go of this belief? recognise the ego based and automatic responses that identify the limiting belief you are working on. They often see what you miss. These thoughts are created by the many beliefs you have which make up your reality, (See B is for beliefs, behaviour and bliss ) A strict and rigid belief system can keep you stuck as it encourages you to resist new information and makes you fearful. Your ego reaction to something new and different that challenges one of your own deeply held beliefs often generates negative reactions that hamper your personal growth. The ego is a valid part of you. You can manage it by learning to recognize and allow it. Don’t resist it but do challenge it when it appears. After your initial knee jerk reaction to something, take a breath and ask yourself – Now how do I really feel? What are the facts? Research it a little more, examine the evidence. Is your initial reaction justified or even true? What does your consciousness think? This is such an important skill to master and is the key to great self development. Energy Levels - Physical energy levels can often be improved by getting enough sleep, eating a healthy diet and looking after your body. However the mind also has a massive role to play. Not being fully aware of your thoughts and emotions can be a massive energy-drain especially when you unconsciously invest it in negative thinking or emotions. Becoming aware of your ego based thoughts and examining the evidence around them, helps you identify those negative thoughts and belief systems that no longer serve you and zap your energy. Once you have identified them, acknowledged them, you can choose something more empowering as you explore the evidence. Choosing to focus our thoughts into positive goals, tuning in to what we like and want will boost energy levels. Negative thought processes and emotions will drain them. So my top tip to keep you mental energy state high is to begin to raise your awareness around your ego based self talk and start choosing to tell yourself a new and more empowering story. ﻿﻿Janine Wood is a woman who thrives on her sense of adventure and her capabilities at giving anything a go. She left her 6 figure corporate income to live her rural dream life in France with the love of her life Tony and their two rescue dogs Junior and Benjy. Janine is inspired by interior design, creation, music, art, dance, fun and personal growth and she lives each day with love, laughter and inspiration. Her role now is to inspire other people who know that they can take more out of life and supporting them as they too discover how to live every day like it was their best. Welcome to week 4 of this alphabet inspired newsletter. After a long weekend over in the UK last week, on a fantastic training course, I am inspired to share why it is so important to dare to dream, discover your destiny and make decisions to move you forward in life. It never ceases to amaze me how easy it can be to keep on growing, learning, and be inspired to continue to stretch our imagination. The key ingredient for me is always about deciding to take 'action' at whatever stage in the process you are. Make time to dream, discover your destiny and then decide to take action. Dare to Dream - In the words of Walt Disney 'If you can dream it you can do it'. To dream is to seek a purpose in your life. It allows you to open up to possibilities, to extend your boundaries and push your limits. Daring to dream really is the starting point of great success and achievement in your life. My top tip though is to keep on dreaming as you will inevitably achieve many of your dreams along the way and grow in the process. Big dreams result in big growth allowing you to help and inspire others along the way. All your dreams can come true when you have the courage to pursue them. One of my favourite quotes is “Only as high as I reach can I grow, only as far as I seek can I go, only as deep as I look can I see, only as much as I dream can I be.” - Karen Ravn. If you find the process of dreaming difficult, think about using guided meditations or visualisations to help you on your way. YouTube is a great source for these. You can see an example here. Destiny - Have you discovered yours? Do you need some help? I know I did! This realisation dawned after I spent 25 years on a career path based around a job I just fell into at 17 when I left college early. Somehow somewhere I forgot my childhood dream to never work in an office and ended up doing just that for many years! Has something like this ever happened to you? My message to you today is that its never too late to discover your destiny and do what it is you love rather than perhaps what was expected, or what naturally seemed to come your way. If you love what you do, I would say you have already found your destiny. If not though - what can you do to uncover it? I went to a great life coach to help me work on an area I found really difficult. I was so entrenched in the way of life I had carved for myself I no longer knew the answer to the question - 'What brings you joy?' To help me answer that question, my coach gave me a very simple exercise. You can download your copy of the same exercise here if you need help too. Decision- To move forward and take action, all you have to do is decide to decide. Are you thinking easier said than done? Making no decision is also a decision, but one that inevitably keeps you stuck. Often the first decision to make is - Do you really want something in your life to change? This can bring up all sorts of fears, doubts and 'what if's'. One way to conquer these is to decide that you want it more than you are afraid of it. Susan Jeffers book 'Feel the fear and do it anyway' provides great insight and tools to help you turn indecision into action. One of the big takeaways for me was to replace the concept of - 'what if I make a wrong decision' with her 'no-lose model' on decision making. When faced with any choice point, stop thinking in terms of right path or a wrong path. Start thinking in terms of path A and path B both of which are right. Each path will be full of opportunities, just different ones, neither right nor wrong. This is such a great way to open up your thinking and take the pressure off too. Check out the book on Amazon here. Welcome to week 3 of this alphabet inspired newsletter.This week I am taking a chance and writing this in advance so it can be delivered to you all automatically while I am on a trip over to the UK!. Relying on technology is a choice I have made to free up my time. Fingers crossed I will be celebrating the successful delivery of this newsletter when it arrives in your inboxes on Monday. Being a little bit of a control freak, with perfectionist tendencies can make change a challenge! Okay enough with all the words beginning with C there were so many to chose from it was difficult to narrow it down! Chance - How many chances pass you by, simply because of that inner voice that nags and tells you things like - You can't.....? What if......? The time's not right....It might not just be your inner voice. Choice - We always have a choice, even with the most difficult decisions. Sometimes too much choice can paralyse us and keep us stuck in a state of procrastination. When you are finding choice difficult, use these questions to help you reach a conclusion. Q1. What is your dream job, partner, house, life or other relevant topic? Q3. If you did know, which one would it be? Q4. What could you do if you knew you couldn't fail? Q5. If you could wave a magic wand what would this allow you to do? Q6. If you had all the time/money/energy/power in the world, what could you do? Q7. Which option feels right for you? Remember, this outcome is for you - not everyone else. Work with a friend, coach or mentor to get clear and choose to move forward with ease and grace. Keep it simple, decide to choose and then commit to your decision. A tool that can help you prioritise your choices is the wheel of life and you can access a copy here. 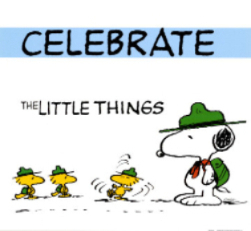 Celebration - There are so many sayings that become truths in our mind like 'pride comes before a fall' or 'beginner's luck' that we get used to brushing our achievements aside, or immediately forget about them and move onto the next thing in our busy lives. However, taking time out each month to note down all your successes is a great way to boost your confidence and self esteem. I keep mine in a journal, and am part of a great online group Global Fab Friends where celebrating success is really encouraged. If a journal doesn't appeal to you, how about a success jar. Don’t censor your “successes”. If you have a really productive day where you cross all the tasks off your list? That deserves a success note just as much a say taking new career path. If you feel happy or proud or excited – grab a pen and make a note. The jar is great for cheering you up and also when you come to write your yearly review. This is the first in this alphabet inspired newsletter.I am so excited to launch this weekly newsletter for 2015. I will be sharing all the learning's, hints and tips that have inspired me on my transformational journey away from a 25 year career and corporate life - to my dream life in rural SW France. My mission is to inspire and support you to discover and unlock your passions in life too. I want to let you know that whatever it is that brings you to life - really is the most important work you can do. Find out what inspired me to let go of my many limiting beliefs that kept me stuck and what it took to give myself permission to really love life! 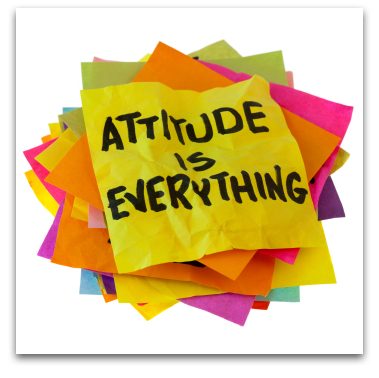 Attitude - Is Everything. Getting this right and working on improving it daily enables everything else in your life to start falling into place. I began working on this from day 1, when my coach gave me a gratitude journal. It turned my life around. Completing this daily retrained my thought processes to focus on those things in my life I already had to be so grateful about. It lightened my mood, and really was one of the keys that unlocked the first door on my journey to France. So if you have ever been told you are a negative person or have a negative attitude to life - Don't panic I heard this too, but you can turn this around so very quickly. If you would like to read more about my story you can check out my Life Purpose Blog here. Aims - What a great time of year to start thinking about yours? So what are your aims and intentions for 2015. How are you going to go about setting them? Have you ever thought about using a dream board? Its great fun to spend a few hours with friends over coffee and cake, with some old magazines, internet images, some words, a piece of card, scissors and some glue! When its finished place it somewhere you can see everyday and be amazed at just what manifests when your aims are identified. Here is an early 2012 dream board of mine, and there have been many since with a new one in the making for 2015! Happy sticking. 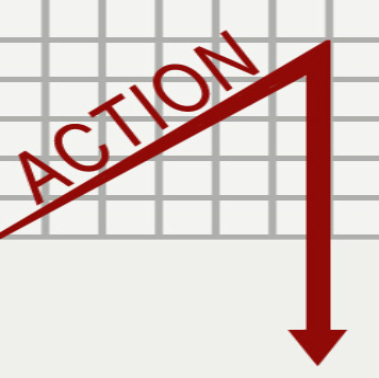 Action - This is what actually makes things happen - My biggest tip here is to avoid overwhelm and procrastination two of the biggest blocks that prevent us from moving forward. More on that later. For now just remember you don't have to achieve the end results all at once. You can take it one step at a time. It might be that your Holiday Trip of a lifetime is your intention, and you know you need £10,000 which may seem an impossible task right now! Don't give up on your dream. Work out what one thing can you do right now to take action toward that ultimate objective? It might put it on your dream board. Or put a plan in place to earn the extra income you need for the deposit. If that still feels too big, it might just be to buy the swimsuit you are going to wear when you get there..... Each time you take action you remind the Universe what it is you want.